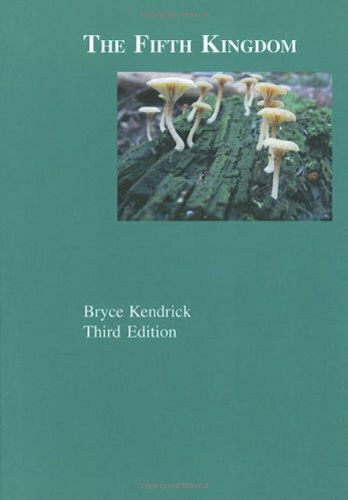 The Fifth Kingdom, Third Edition, is a compact but comprehensive encyclopedia of all things pertaining to mycology. Bryce Kendrick, a world-renowned mycologist, explores every aspect of the fungi, from aflatoxin to zoospores, with an accessible blend of verve and wit. The 24 chapters are filled with up-to-date information on classification, yeasts, lichens, spore dispersal, allergies, ecology, genetics, plant pathology, predatory fungi, biological control, mutualistic symbioses with animals and plants, fungi as food, food spoilage and mycotoxins, poisonous and hallucinogenic fungi, medical mycology, antibiotics and organ transplants. Personal anecdotes drawn from a lifetime of involvement with fungi, and a comprehensive glossary make this a perfect introduction to the kingdom of the fungi. The author's website contains many color photographs of the fungi in the book. An accompanying CD-ROM is available from the author through his website: http://www.mycolog.com. Bryce Kendrick has studied fungi for 55 years, during most of which he was a professor at the University of Waterloo. He has authored over 300 mycological publications, including several books. He was a Guggenheim Fellow in 1979, and was elected a Fellow of the Royal Society of Canada in 1981. He received the 'Distinguished Mycologist' award of the Mycological Society of America in 1995, and was elected a Centenary Fellow of the British Mycological Society in 1996. In May 2001 he was the invited keynote speaker at the Mycological Society of Japan annual meeting in Tokyo, and in June 2001 received the Lawson Medal of the Canadian Botanical Association for lifetime contributions. As one of four authors, he has just helped complete a 1,000-page book "The Genera of Hyphomycetes" and a somewhat smaller book "The Outer Spores: The Mushrooms of Haida Gwaii." Published by Focus Publishing/R. Pullins Co.